This month we still have Jupiter-Pluto-Uranus T-square and Venus in retrograde motion: great intensity with a lot of energy, possible accidents, natural disasters, financial crisis and all kind of conflicts. On relationships level, no matter is about love, marriage, friendship or business partnership and international affairs, all the planets configurations bring emotional stress, extreme emotions, we open Pandora’s Box and everything becomes unpredictable. Try to not make important decisions (in relationships, collaborations and financial) while Venus is in retrograde motion. On 20th March, the SUN ingress in ARIES: Happy Birthday for all natives! FULL MOON in VIRGO on 12th of March at 14:53: You may seek emotional security through possessions, although this can be frustrating. You have for sure inner resources to make a new financial strategy that helps you to gain money. NEW MOON IN ARIES on 28th of March at 03:57: Your need to communicate is more obvious than other times. You want to keep up with all that is going on around, new ideas and new people. You also like to express your own ideas to as many people as possible – the more the merrier. For this reason you could start to enjoy writing or public speaking. Short journeys and changes of environment also may occur. Until 13th of March MERCURY goes trough PISCES: You are highly intuitive with a good imagination. You have the ability to tune into other people’s thoughts. You may have difficulty distinguishing reality from fantasy. You may experience periods where you seem to disappear into a dream world before being jolted back to reality. Write down your dreams! 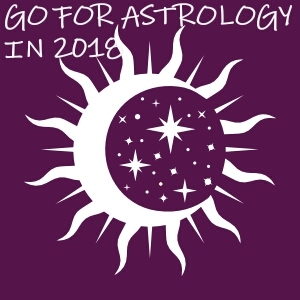 Between 13th and 31st of March MERCURY goes trough ARIES: Mercury forms a conjunction with Venus retrograde and these means that you may have a disscution about a past love relationship or about the present one and both of you need to clarify some old open issues. Money is also an important topic to talk about during this period, if you want to get rid of a credit, now is the best moment to close it. No matter what avoid to get a new loan! Then, Mercury forms a conjunction with Uranus and it may brings to you great ideas, inovation views and whant to learn a new subject. Until 3rd of March VENUS is in ARIES: You will pursue your partner ardently and yet strive for freedom and independence, once you are in an intimate relationship. You like to be the initiator in relationships, and can be aggressive. Between 3rd of March and 3rd of April VENUS is in ARIES in retrograde motion: You need a fast satisfaction of your needs, sexual, emotional and financial ones.Try to not neglect the fact that by this attitude you may annoy other people. If you love someone in that period will be just a fleeting moment. Because Venus will have a long retrograde period in Aries and Pisces during 2017, this could affect cooperation and all peace agreements. And the Pisces’ governor is Jupiter. Jupiter in Libra, the symbol of harmony and good relations is attacked by Uranus and Pluto. Only Saturn is able to save situation by finding solutions for any problems. 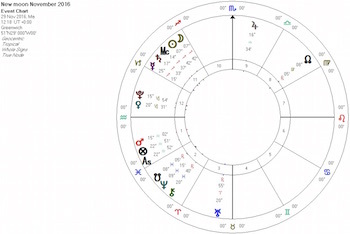 During this month, you will feel the first signs of near future waves of Venus retrograde periods. Pay attention for Pisces and Aries signs. 6th of June at 06:27: Venus ingress in Taurus and finally it is closed the complete cycle of retrograde motion of Venus in 2017. Until 10th March MARS is in ARIES, in domicile: You are ambitious, in rush, and nobody is able to keep up with you. You get bored very fast and you feel free to do whatever you want! Use your energy in projects that are helping you to become independent and make more sport, otherwise you will have some impulsive reactions with other people around you. Between 10th of March and 21st of April MARS is in TAURUS: You have strong wishes and you are able to succeed in any major project. You are stubborn and nobody can stop you in your chosen path. On 26 mar 2017 – Daylight Saving Time Starts, 01:00:00 clocks are turned forward 1 hour to 02:00:00 local daylight time instead (Greenwich local time). There will be more light in the evening. This is called Spring Forward, Summer Time or Daylight Savings Time. Positive outcome: You have a great determination in making money, especially after 10th of March. And you are able to do by learning responsibility. You need to let go of the desire to escape into fantasy and develop a productive new life. Negative outcome: You became more than emotional in your love relationship and older issues of the relationship come out to the surface again. It is time to clarify these issues, otherwise complications will occur again and again and you will be frustrated and unhappy. In the first two weeks of the month take more care of your health, especially if you have already chronic diseases. The most sensitive areas are: foot, toes, thalamus, and fibrin in the blood, lymphatic system and adipose tissue. The main advice: Make a balance between rest and work time! Positive outcome: After 10th of March you get a new energy, good especially for work and the best motivation is financial gain. Negative outcome: In love relationship you have a low profile, like you are invisible, you avoid people you love. At least try to find yourself in a retreat location. Try to adjust your life style, in a better one: healthier food, more sport, natural treatments. If you feel something is wrong with your body go to a doctor for a general examination! The main advice: Do not rush, no matter is about work or love! Positive outcome: Your relationships are stronger and you may count of your partners (in love and business). You get new opportunities; new friends and you are able to work very well in team. Attend to public events and make yourself opportunities of new collaborations. Negative outcome: In the second part of the month your sensitive areas are: Neck, throat, mouth, ears. The main advice: Promote your work, your ideas, and your vision! You are full of energy so use it in a smart way! Positive outcome: No matter what is happened in your love life you will get nice professional and financial results. The main advice: Use all your creative ideas in practical activities! Positive outcome: Communication is the “secret” for good relationships, no matter is about love or business. A travel in the interest of love or a long-distance relationship may occur this month, or you will meet a new love there. You should focus this month on study, publishing, cultural and spiritual retreats, everything connected to abroad and international connections. This month you are ambitious, seeking power through your career. This may involve a battle for a top position or better, you need autonomy and independence in your profession. A freelancing activity should make you happier! Negative outcome: Rest more, sleep well, and eat healthy because your vitality is not on its best. The main advice: You may have a positive attitude to higher learning through study, travel or religion. You want to know what is happened in the world. Positive outcome: You feel like a detective when is about to discover your partner’s emotions, needs, and frustrations. You get financial opportunities especially from joint business. With Venus in retrograde motion is a good period to ask for heritage or recovering of older debts from different people that you used to help in the past. Also, you seek adventure through travel, study or religion. You are on a quest to explore the higher meaning of life. Negative outcome: Use your energy wisely because your vitality is not in the best shape this month! Be aware of infections, cold, intoxication! Rest more and sleep well, relax your brain! The main advice: Try to manage your money better, be aware of taxes and debts! Avoid taking any loans from banks! Positive outcome: Now is time to get free and to act in a personal way when is about your profession. Show your creativity, talents and skills in a big way! Negative outcome: You become obsessed about an older love relationship, you try to reconnect and you are not successful. But did you ever thing if you are the right person from that old lover? Do you deserve to be with that person? Do you know what you really need in a relationship? What you have to offer to a lover? Answer to all these questions, be honest with yourself! Take any activity step by step, do not rush and use time management to not become to stressed and tired! The main advice: The most sensitive areas in your body are: foot, toes, thalamus, and fibrin in the blood, lymphatic system and adipose tissue. Avoid possible intoxication and allergies due to food or liquids! Positive outcome: Love is in the air, with a lot of sexual desire, charm and attraction. You have motivation to make any clarification in your relationship because you really want to be happy. If you want to become pregnant the Sun in Pisces helps you. Also, you are very creative and artistic activities are favored. Negative outcome: The most sensitive areas in your body are: pancreas, blood sugar level, kidneys, sexual organs, skin, and circulatory system. For any issues go for a general examination and start to treat your body in a proper way! The main advice: Start a new activity that brings you pleasure and use your talents! Positive outcome: You need to be a part of your love life, try to feel yourself and improve your relationship and use your creativity at the fullest. Also, cultivate your relationship with your own children and discover you inner child. Learn to be a happy person! Your main activities may be around your house and family but also you are favored in dealing with real-estate, agriculture. Negative outcome: You may have a surgery in the head or neck area but also on sexual area. You will approach daily life with vigor but take care to not push your body too hard. The main advice: You will benefit from daily moderate exercise. Positive outcome: You feel more attracted to your past memories, relationship with your parents, common memories and pleasure to rediscover your childhood period. You like relationships in the home to be harmonious and you want to create a beautiful home environment. After 20th of March you may be involved in a big project and you will gain more money from this new activity. Negative outcome: Take care of your health and try to increase strength of your immunity. The main advice: Try to change something in your house, to become more cozy and nicer! Positive outcome: Love and money are connected and this may bring some changes in your life. You seek action and independence your home environment. While others in the home may want to relax, you want to get things moving. Negative outcome: Relationship with your siblings may have discussions about some older issues. Exams and interviews may be on your mind but you need to be aware of your communication style. Be aware while handling dangerous objects and liquids! The main advice: Start a new training; learn something new that it seems interesting for you! Positive outcome: You are the master of your love life, choose the best person for you and be happy together. Also it is possible that you loved one to help you to earn more money. Start to work your body, eat healthier, and rest more. Negative outcome: Even you may gain more money, you also may spend more. The main advice: Buy what you really need not spend money for useless objects! Avoid taking any loans from banks!